Don’t buy Sun Lakes homes without valuable tips that will help you make the right decision in choosing the community where you want to live! 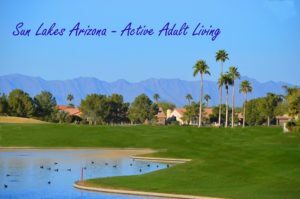 Sun Lakes, Arizona is an active adult retirement community located in the Phoenix East Valley bordering Chandler. You can choose from five separate communities with various home styles and price range. Sun Lakes is comprised of five separate communities. 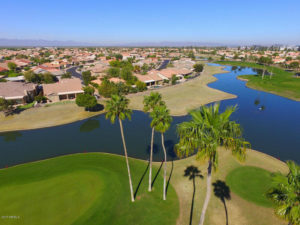 Sun Lakes Country Club is completely private in its amenities and is the oldest of the five. Cottonwood and Palo Verde Country Club is also private and shares the same homeowner association. Ironwood and Oakwood Country Club is semi-private, gated and the newest of the five communities with the last home built in 2006. Sun Lakes is completely sold with no new build opportunities. It is well established with each community enjoying their own resort amenities. The Kolb Team can provide insight into the culture of each community and help you negotiate a winning purchase contract while in the midst of a strong seller’s market. When you are looking for an active adult retirement community, you are usually looking for a lifestyle. And when you buy Sun Lakes homes, you are buying just that. A lifestyle that includes golf, tennis, pickle ball, walking paths, lakes, fitness center and classes, restaurants, bars and many clubs and organizations. If you like creative arts, join the Sun Lakes Community Theater or Sun Lakes Chorale. If you like the outdoors, the Sun Lakes Hiking club may be just the thing you are seeking. You will not have trouble finding something you enjoy and people to share in that experience. Don’t buy Sun Lakes homes with consulting with The Kolb Team – Sun Lakes AZ #1 Realtor. Contact us here or call 480-440-0849. We will provide valuable tips and resources to help you find the perfect community!